Separate yourself onto Me, says the LORD. Come out from among those who are building upon the sand and not founded upon Me and My Word. Separate yourself from those who speak in My name, but do not know Me. Do not imitate them. Do not build a kingdom that will surely fall when the winds of adversity blow and the floods beat against it. Forsake that which is for the glory of man and seek My greater glory, says the LORD. For I Am a sure foundation, and hearing My Word without doing it is not going to secure anyone. Knowing is not enough. Speaking is not enough. I want you to do My Word and Speak it and become congruent with it. For as I Am solid and fixed and cannot fall, you too will become unshakable, unmovable and abounding in My Word and Work and will, says the LORD. 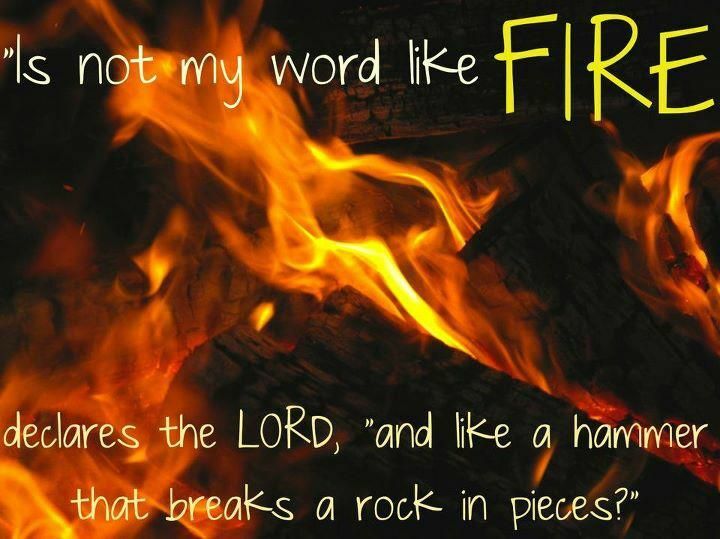 My Word is a fire and a hammer and a sword that will proceed out of your mouth. Let there be a fire kindled in you that cannot be put out, but pours out of you in a holy eruption. For I do not want you to be a vessel that contains My Word only, but a conduit of it. I do not want you to be filled with My Spirit so that you are fat and full of My blessings for your own benefit only. Become a blessing to many as I flow through you, says the LORD. For out of you will flow rivers of My Word, and My Word will penetrate darkness and bring light. It will invade death with Life. It will heal and deliver and liberate those that are bound. I will not be stopped, but will fill the earth, even as My knowledge fills the earth. Be a vessel that I can pour Myself out into and use you to pour out into many others. Come and separate you onto Me and become a vessel of honor in My hands that I will not only pour into, but pour Myself out of for the expansion of My Kingdom on earth as it is in Heaven, and for MY GLORY alone, says the LORD. I am here awesome Father, use me for your Glory, yeilded unto you.